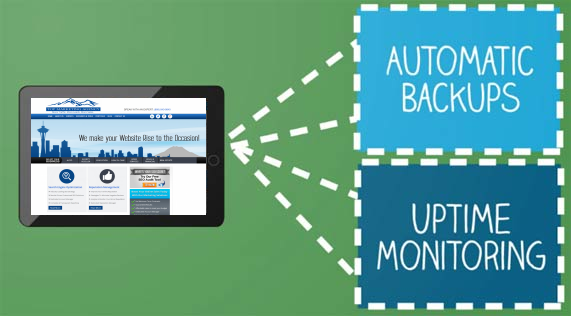 We offer a full service automated website backup & uptime monitoring solution that is simple, fast and affordable. Let us help you build a redundant website backup system for your website with the scalability you need to keep your companies website safe and secure! With over 70% of all websites vulnerable to hacking and/or Malware, it’s imperative that you have the proper backup and redundancy processes built into your hosting management strategy. We help streamline your website backup and up-time monitoring, so you can spend your time running your business and spend less time worrying about website crashes and/or hacking issues. Click here for a free consultation and learn how we can help with your website backup and up-time monitoring needs.